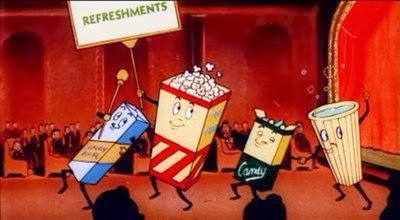 m. brown over at Two Dollar Cinema is hosting a blog-a-thon. In honor of President's Day, we have the Mt. Rushmore of Movies blog-a-thon. The premise is pretty simple (I like simple!) - pick a top four of anything movie-related (if you want more details or want to participate, click here. Otherwise, just roll with it). Now to come up with a theme, which involves the old thinking cap as this blog has been a little book-heavy lately (not that there's anything wrong with that). But now it's time to go back to the movies. A comedy centered around three characters: an everyday guy who comes to believe he's a super hero, his psychiatrist and, the teenager he befriends. I believe this would fall into the "lesser known" category. That, by the way, is a rather terrible synopsis. On the first hand, it should really use the word "comedy" lightly. 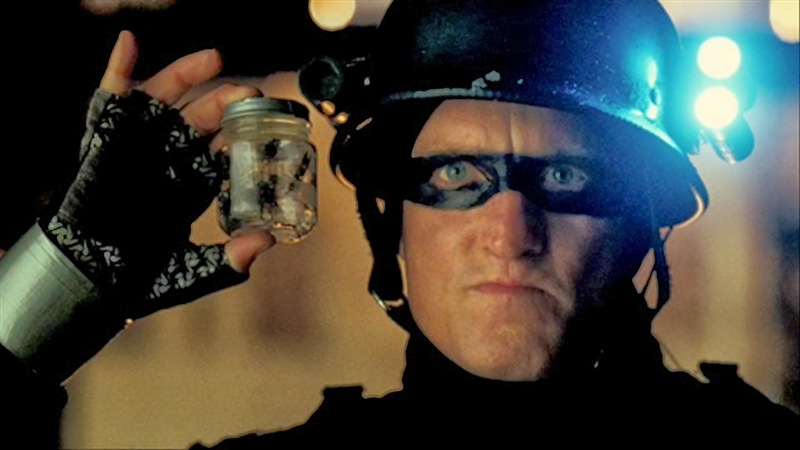 It has a few moments (yes, that is a jar of bees Defendor is using as a weapon in the picture), but the movie has a lot of pretty serious undertones to it. It is not the fast-paced action/adventure a la the current comic book movie onslaught being released by Marvel and DC. This is slow, thoughtful, and utilizes Harrelson's ability to play crazy. Underrated. Before he was the head of S.H.I.E.L.D. and before he was a jedi knight, Samuel L. Jackson was Elijah Price in M. Night Shyamalan's Unbreakable. Like Defendor, Unbreakable is a movie that plays off of comic book mythology in the real world. It's another slower paced character study with an M. Night Shyamalan twist. A man brutally murdered comes back to life as an undead avenger of his and his fiancee's murder. This probably needs the least introduction of any I've mentioned so far. 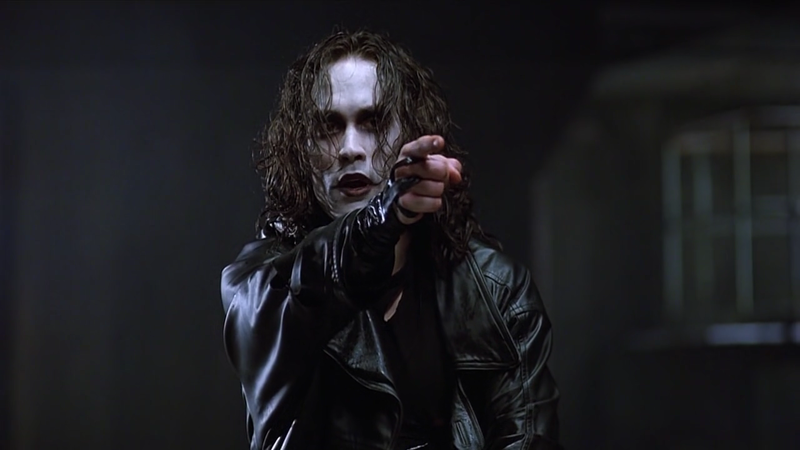 However, with all the flashiness of modern comic-book movies, The Crow from 1994 still holds its ground as an exciting tale of supernatural revenge (I'm a sucker for revenge stories). Just ignore the sequels and pray to the god of gothic stuff that the reboot is good. Whilst attending a party, three high school friends gain super powers after making an incredible discovery underground. Soon, though, they find their lives spinning out of control and their bond tested as they embrace their darker side. This is a movie that took me by surprise. It was not what I was expecting at all. The trailers had always shown it as a bunch of kids goofing off with newfound telekinesis powers. It starts off rather slowly and seems to play into that goofy high school kids pulling pranks. But this movie gets DARK. It gets incredibly tense. It's worth a watch (keep some Xanax handy). I'm sure there are plenty I'm missing. What would be on your mountain? I was basically drooling all over myself as I had never even heard of (or at least don't remember hearing of) Defendor. I have to track that down. I was actually watching True Detective when you sent this, and I was thinking that I need a little more Woody in my life. But don't we all? As for the rest of your list, it's fantastic, and I actually saw the last three theatrically. The Crow was such a landmark film of the 90's, though probably for the soundtrack and what happened to Lee, more than the sweet revenge flick that it is. Either way, it's great (and I too, refuse to acknowledge the sequels...though I've seen some of them). Thank you so much for participating. I can't wait to put the master post together on Friday. The funny part is my initial theme was going to be something along the lines of "actors I need to see in more movies" and the first person was Woody Harrelson. But I stalled out after him, Christopher Walken and Samuel L. Jackson. Yeah, maybe I should have went with "hero movies that aren't Marvel or DC" or something. Oh well. It's posted. I'll stand by it. Blade was good stuff. I even watched the short-lived TV show. Maybe they'll redo it one day. Movie people love reboots. Great list! I don't know if its underrated enough.... but I'll definitely have V For Vendetta. Ooh. Yeah. V is a good one. Don't think that had the draw the popular heroes do, so maybe that would have fit the list too. Maybe I need a bigger mountain. Great list! I've never seen Defendor, but now I kind of want to. I'm still trying to think of an idea for this blogathon. Thanks. I'm sure you'll come up with something good! I suppose if mine has done anything, it's at least given a few people notice of Defendor. It was good, but just let me reiterate, don't go in expecting an action movie. It's a character study. What a great feature!! I am totally in!! I am going to come up with a list tonight (well maybe). I know of all the movies except Defendor. Maybe Spawn would be a good one to add to the list too!! Two good choices. Spawn, I would be A-Ok with them rebooting though. It could have been so much more! Hancock was certainly good fun. I look forward to seeing what your topic is! Cool list. 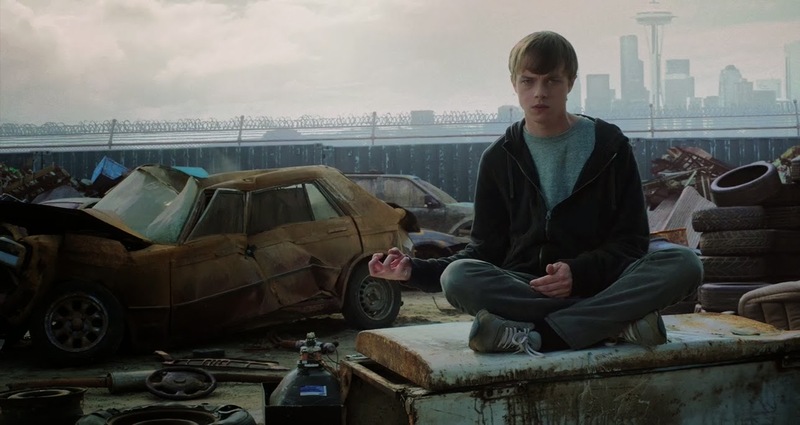 Chronicle was a really interesting super hero type of movie. And you gotta laugh to see Defendor there. Love it. Cheers. Thanks. Yes, Chronicle was certainly an interesting take on the genre. And it got the director the job of directing the Fantastic Four reboot. Maybe that will be good now. Very nice list, surprised someone else has seen Defendor, he also made my Mount Rushmore alongside the Crimson Bolt, Big Daddy, and Special. The Crow is still one of my favorites, the last time I dressed up for Halloween several years ago I went as the Crow. Chronicle and Unbreakable are both excellent movies as well. Nice list indeed. Thanks! Glad to see I'm not the only one who's seen Defendor! I'll go check yours out now. Four great choices and definitely lesser known, although 'The Crow' was a teen phenomena when it came out in 1994. I remember I was in high school when it came out and oh my goodness, the crow halloween costumes that year were plentiful. RIP Brandon Lee. He had such a promising career ahead of him. Thanks. I struggled with what to title this one. Current title doesn't quite fit, but preoccupation leads to caring less of little things like that. So, I own it. Wrongness and all. I was a teen during The Crow release, so I remember. Though the craze of it hit me a little later. I posted about it during one of my book reviews (it made sense). Thanks for stopping by. I'll go check yours out!